Corporate Social responsibility (CSR) of LankaBangla is a form of corporate self-regulation integrated into our business model based on the objective of good business for good society at the moment and in near future. LankaBangla in its core management concept and corporate responsibility integrated CSR with focus on social and environmental concerns in all business operations and interactions with its stakeholders including shareholders, customers, employees, suppliers, business partners, local communities and other organizations. With these CSR policies & principles, our organization believes in achieving a balance of economic, environmental and social imperatives (“Triple-Bottom-Line- Approach”)besides safeguarding interest of stakeholders. We have also considerably achieved efficient business operations and conscience corporate governance and compliance to facilitate smooth and effective business. As a result we have been able to contribute for our sustainable society.LankaBangla through its Foundation extends its support for underprivileged people of the community in particular to ensure their education, health and living. The Financial System holds a unique position in an economy that can affect production, business and other economic activities through their procedure of financing activities which would in turn contribute to protecting the environment/ climate from pollution. Moreover, efficiency in energy use, water consumption and waste reduction may significantly contribute towards controlling the operating cost of many of the Banks/NBFIs of the country. All these make Corporate Social Responsibility (CSR) a vital factor to consider. Social responsibility can become an integral part of the wealth creation process which, if managed properly, can enhance business competitiveness and maximize value creation. If conducted from a strictly philanthropic point of view, such expenses will always be the first to go during hard financial times, whereas there will be more incentives to practice CSR further and better during such crises. However, in different countries and cultures, there will be different priorities and values to dictate how businesses should act and manage their impact on the environment and the society. At LankaBangla Finance, Corporate Social Responsibility (CSR) has always been an integral part of the company’s culture and the cornerstone of core values of good corporate citizenship. CSR is considered as an integral part of the organization’s strategy, operations and management in order to create the maximum value. The concern for stakeholders, community, and environment is reflected in our actions, and which strengthens our position as a responsible and sustainable business. The business financing goal is not only to tie with the business progress but also with the development of overall economic growth that drives the development of the nation at large. LankaBangla Foundation arranged a ‘Tree Plantation Program’ on 10th July, 2018 at Ramu Cantonment, Cox’s Bazar. The main objective of this program is to enhance the production of fruits, environment protection, preventing soil erosion and area beautification etc. It is believed that it will be a sustainable and long term benefit for the proposed area. 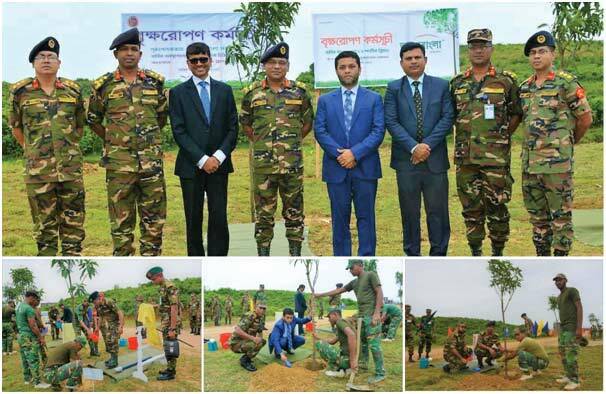 As a part of CSR activity, LB Foundation arranged this program and it is the 2nd phase of Tree Plantation at Ramu Cantonment, Ramu Upazila, Cox’s Bazar. More than 3000 mango saplings has been planted around the location of BIR SHORONI road towards Ramu Cantonment Public School and College. Tree plantation also took place at the lake side road of the cantonment and supported by infantry Brigade. Focusing environmental protection, LankaBangla arranges the tree plantation program every year. 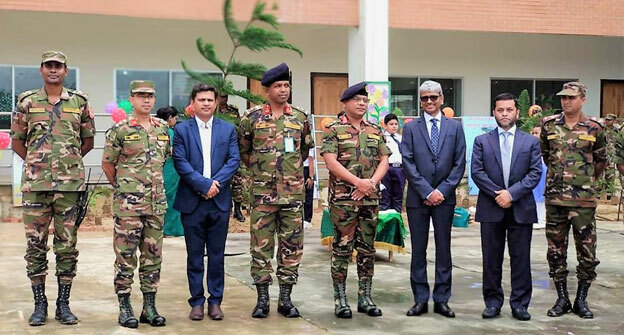 The program was inaugurated and accomplished by GOC and Area Commander, 10 Infantry Division, Maj Gen Mohammad Maksudur Rahman, psc; Commander 2 Infantry Brigade, Brig Gen Abu Syed Mohammod Bakir, psc of Ramu Cantonment; Mr. Mohammed Nasir Uddin Chowdhury, Managing Director, LankaBangla Securities Limited and Mr. Khwaja Shahriar, Managing Director & CEO, LankaBnagla Finance Limited jointly. All necessary support and cooperation was provided by the concerned authority of Ramu Cantonment. Distributed on 27 December 2017 at No.10 Ranipukur Union, Dinajpur District. 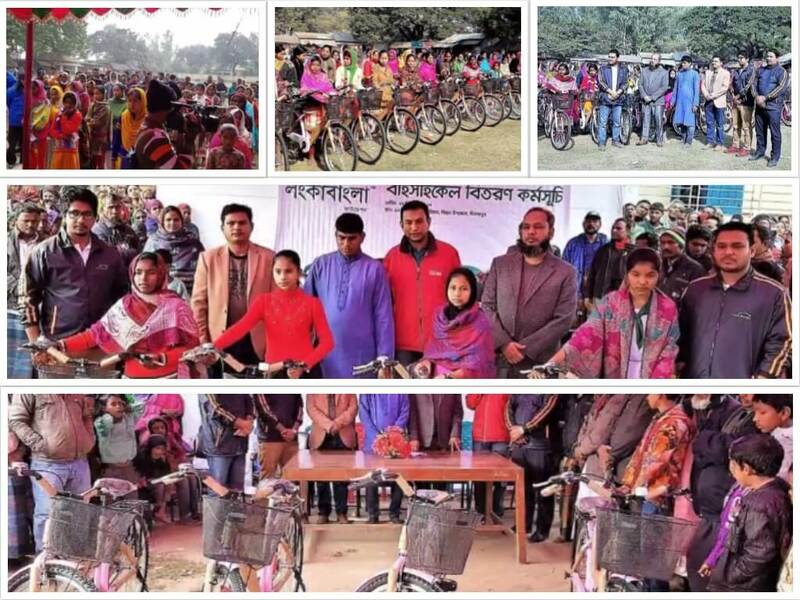 LankaBangla Finance steps up to empower women and distributed a total of 100 bicycles among female high school students in the Dinajpur District. Employees of LankaBangla and LB Foundation of LankaBangla undertook a joint massive Rehabilitation Project for the worst affected flood victims of different remote islands (chars) of Kurigram district. This massive LankaBangla Rehabilitation Project was planned just immediate after the flood this year (2017) when we witnessed the untold suffering of flood victims of different remote islands (char areas) while distributing relief goods in these chars at the end of July & beginning of August 2017. All employees of LankaBangla Finance, LankaBangla Securities, LankaBangla Asset Management, LankaBangla Investment voluntarily contributed 02 million taka and LB Foundation contributed 01 million taka for the initiative of LankaBangla Rehabilitation Project in Kurigram. The Rehabilitation Project includes a tin-shed house, a sanitary latrine, a tube well and some wood bearing trees for each family. We have completed and handed over 65 tin-shed houses, 65 sanitary latrines, erected and handed over 25 tube wells and planted more than 300 wood bearing trees (surrounding the 65 houses) among the flood victims. Under the leadership of Mayor of Ulipur Pouroshova, Ulipur, Kurigram Mr. Tariq Aul Ala and with the relentless hard work of his volunteer team during last 03 (three) months finally we have implemented the project successfully. The volunteer team and LankaBangla visited remote islands (chars) of Kurigram district, identified & listed most affected vulnerable families, assessed their needs, arranged & transported materials for final execution of different components of the project and beat the challenges of doing this project in different distant remote islands (chars) of Kurigram district and happy to see the smile on the faces of homeless people. Mr. Mohammed Nasir Uddin Chowdhury, Managing Director, LankaBangla Securities; Mr. Khwaja Shahriar, Managing Director, LankaBangla Finance; Executive Vice President & Chief Risk Officer of LankaBangla Finance Limited, Mr. Mohammed Kamrul Hasan, FCA and Honourable Mayor of Ulipur Pouroshova, Ulipur, Kurigram – Mr. Tariq Abul Ala in presence of Mr. Haider Ali Mia, Upazila Chairman, Ulipur, Bazra Union Parishad Chairman – Mr. Alhaz Rezaul Karim Amin, renowned social worker Mr. Star and Associate Professor Mr. Bulbul Ahmed and Mr. Md. 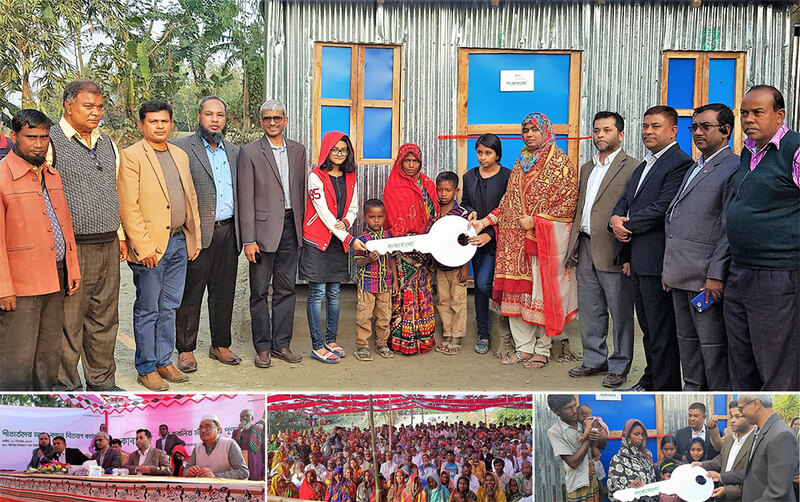 Jahangir Hossain, Head of ADC of LankaBangla officially handed over houses, sanitary latrines, tube wells to each family on 26 December 2017 in a small ceremony. 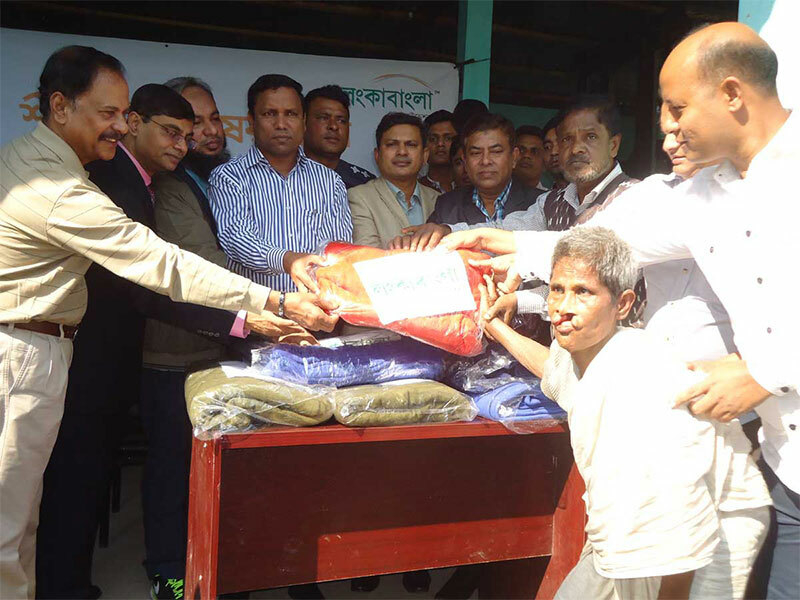 Besides, we have also distributed 1,000 blankets among ultra-poor people of Ulipur Upazila of Kurigram district on the same day. Blankets are also given to the beneficiaries of the project. 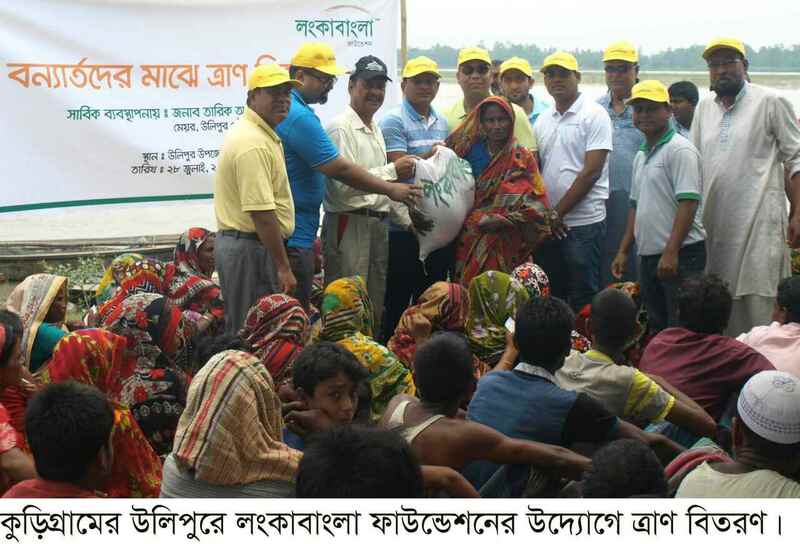 LankaBangla Foundation undertook a relief distribution program among flood victims of remote villages of Ulipur Upazila, Kurigram on 28 July 2017. More than 25 metric tons of Relief goods were distributed among 2,000 destitute families stranded by flood water. Relief goods included rice, pulses, flattened rice (beaten rice), gur (jaggery), orsaline, edible oil, medicines, biscuits and other dry food items. Head of Branch Distribution and Management Division, Mr. Mahbubur Rahman; Head of Liability Management, Mr. S. M. Abu Washib from LankaBangla Finance Limited; Mayor Mr. Tariq Abul Ala of Ulipur Pourashava and Ulipur Upazila Chairman Mr. Haider Ali distributed relief goods among marooned families of different flood affected areas of the Upazila. LankaBangla Foundation as part of its CSR activities every year extends support for health, education & environment sectors; always extends supports to victims of natural calamities. Besides, it also undertakes different projects and programs for the disadvantage group of people. 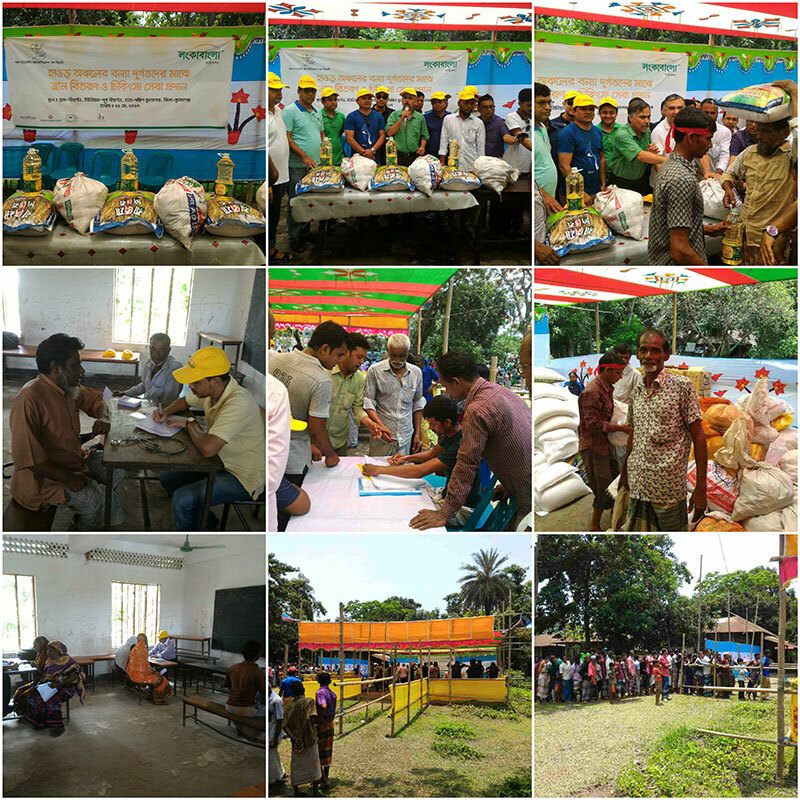 This year in May LankaBangla also distributed relief goods among 750 families and extended medical support to more than 1000 people of flood victims of Birgoan village of East Birgoan Union, Soouth Sunamganj Upazila, Sunamganj. 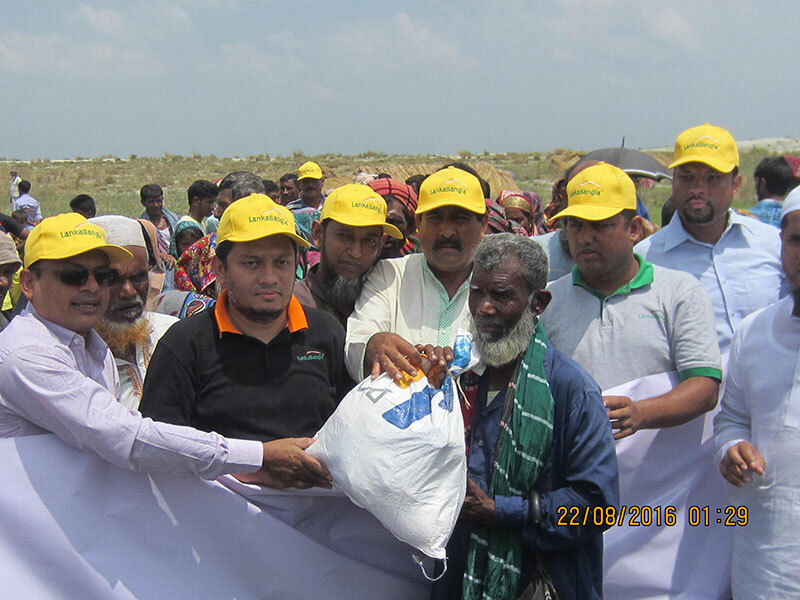 Considering the present miserable situation of flood victims Management of LankaBangla Foundation has distributed these relief goods among flood victims of Kurigram as part of its CSR activities. Other Officials from LankaBangla Head Office, Bogura & Dinajpur branches and other local leaders attended the relief distribution program. LankaBangla Foundation always stands beside the underprivileged brilliant students to pursue their higher education. Scholarship program of Foundation for these students is a platform to ease the challenges to reach their aim in life. We extend this continuous financial support to make their dreams come true. Supporting education sector for building an enlightened society is not new for LankaBangla. Journey started from 2010 and continues till to date with an immense priority on education for building knowledge based society. We provide educational support to a SSC completed poor brilliant student to continue his/her HSC and graduation with an objective to help the student to become self-sufficient in life. Scholarship program is one of the sustainable programs of CSR of LankaBangla Foundation. In 2016, a total number of 55 students received financial assistance of 2.1 million to pursue their higher education. During 2016 total number 2 students completed their graduation. LankaBangla Foundation continues its support for education as part of its CSR activities. This support is extended to one female student who is the daughter of one deceased official of sister concerns of LankaBangla Finance Limited. Foundation contributed an amount of Tk.164,000/= (in two installments- for one year support) to Ms. Nora Sumlina (daughter of Late Mr. M. Shakil Islam Bhuiyan, Ex-CEO, LankaBangla Securities Limited) to continue her studies. In 2016, LankaBangla Foundation arranged 4th Art Competition for children in Chittagong. “Nandonik Shonderjer desh Bangladesh” was the theme of art competition of this year. LankaBangla Finance Limited selected top 17 arts works and printed in the calendar of 2017 of LankaBangla with caption of the respective names of the children and his/her schools. This unique facilitation definitely boosts up the children who won the competition and also keep alive the intention of others to compete in future. Another core area of CSR of LankaBangla Foundation is to extend support to protect environmental & ecological degradation through tree plantation every year. In 2016, Foundation undertook a tree plantation program during 16, 17 & 18 August 2016 at Shahzadpur Upazila, Sirajganj. In total 1,500 saplings of fruit-bearing, wood-trees & medicine-trees are planted at premises of different institutions and distributed among poor villagers of the Upazila. The plantation & distribution was supported by the local community voluntarily. The whole tree plantation program of 2016 costs 0.155 million. Head of Human Resources of LankaBangla Finance Limited, Mr. Md. 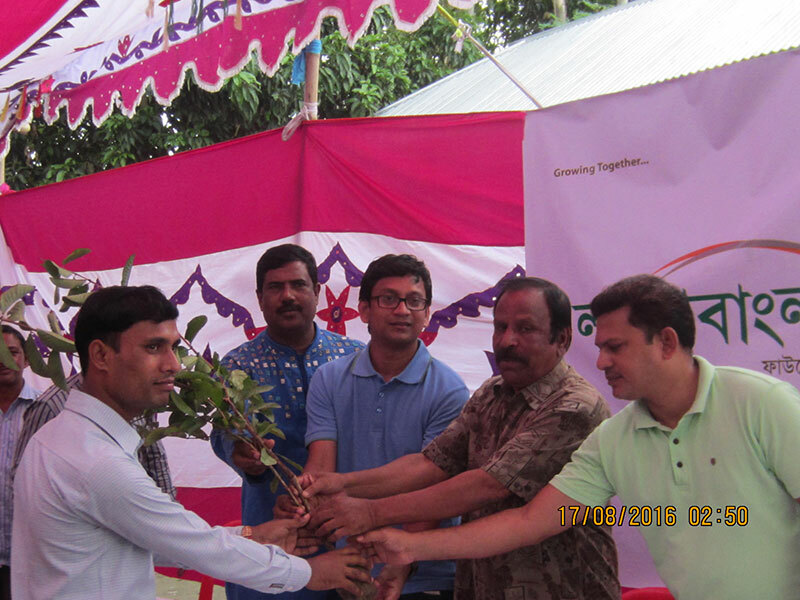 Shariful Islam Mridha and Chairman of Shahzadpur Upazila, Prof. Azad Rahman jointly opened tree plantation and distribution program in a simple ceremony. LankaBangla undertakes tree plantation program every year as part of its environmental responsibility. This year our focus was on poverty alleviation and environmental protection through tree plantation. This time the plantation took place for 03 consecutive days. High officials from LankaBangla Finance head office and Heads of Bogura branch attended the tree plantation & distribution program and also participated in the rally. The program has ended by a rally to create awareness on tree plantation among the local citizens. In Bangladesh, flood hits the country almost every year. This year flood was more devastating and prolonged. Many ultra-poor people of different districts were the worst victims. LankaBangla Foundation took the initiative to distribute relief materials among the poor victims of Kawakhali Char of Sirajganj. We have distributed relief items among 2000 marooned families of Kawakhali Char. The relief materials included rice, pulses, flattened rice 9beaten rice), gur(jiggery), muri(puffed rice), orsaline, drinking water, biscuits and other dry food items etc. The whole relief distribution programs costs 0.711 million. This year Foundation with the help of local community has made an extensive effort for proper distribution of relief materials among the flood victims. To facilitate education of poor school going female students of northern region of Bangladesh, LankaBangla Foundation took the initiative to distribute bicycles among school going poor female students of Mithapukur Upazila of Rangpur District. As a pilot program/project we have distributed 20 bicycles among these female students on 28 December 2016. These female students were very happy to receive these bicycles from LankaBangla. Head of Treasury of LankaBangla Fianance Mr. Quamrul Islam and other high officials from LankaBangla were present during the distribution of bicycles. The whole program costs 0.134 million. Supporting education of underprivileged brilliant students. We provide financial support to SSC completed poor brilliant students to continue their HSC and graduation with an objective to help them become self-sufficient in life. Scholarship program is one of the sustainable programs of CSR of LankaBangla Foundation. Voices from some of the scholarship holders who achieved their aim-in-life with the support from Foundation indicate that CSR initiatives from LankaBangla significantly contributed to build a sustainable society. In 2015, a total number of 64 students received financial assistance of BDT 2.1 million to pursue their higher education. At the end of 2015 total 5 nos. of students completed their graduation. Three of them are already in their professional life and other 2 students are still pursuing further higher education. Moreover, 5 students are pursuing their education in different Medical Colleges. I could never think of my present condition if I were not studying well in my under-graduation. 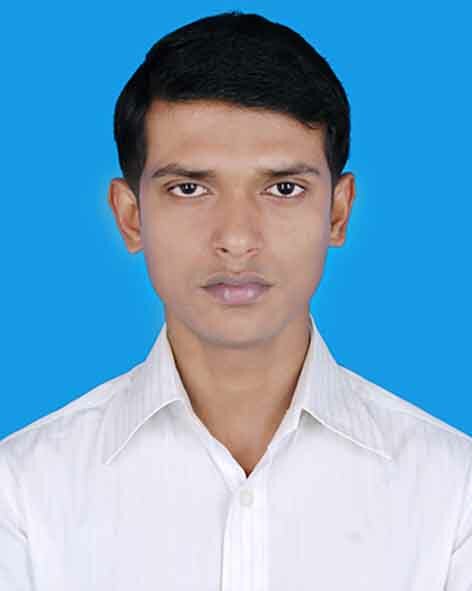 I could never think of effective study in my university time if the scholarship were not there. My family did not have financial strength to support for my engineering study. But LankaBangla Foundation stood beside me and supported my higher education. Soon after I got the scholarship I did not require to look back - just concentrated on my study. I have no hesitation to say if the scholarship was not there, I might not have been able to be here where I am now - showing all my excellences. I am indebted to LankaBangla Foundation. Thanks for the scholarship. Thanks for everything. 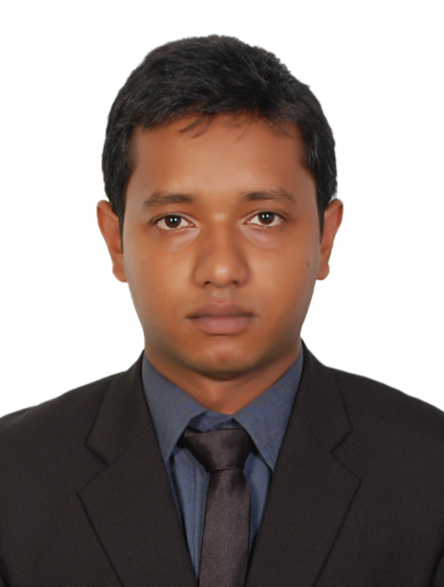 I’m Md Tuhinur Rahman, BSc (Hons), MSc (Ongoig), Dept. 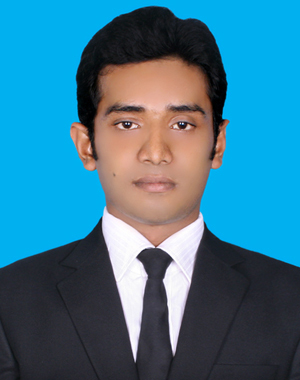 of Physics, University of Dhaka. I have been a stipend holder from LankaBangla Foundation (LBF) since June 2010. Without the financial help from LBF it would be difficult to continue my study. To me LBF is the silent guardian and blessing and I strongly believe that other students who receive the financial help from the Foundation have the same feeling. I am blessed and privileged to have LankaBangla on my side. The way LBF helps poor talent students is actually “Unique” and “Exemplary”. I also feel that LankaBangla has the strength and goodwill to “set the bar very high” in helping poor students so that it can become one of the best Foundations. I have high hope that LBF will continue helping and encouraging the poor and talented students who face financial barriers in completing their studies. LankaBangla Foundation continued its support for education as part of its CSR activities. This support is extended to two female students who are daughters of two deceased officials of sister concerns of LankaBangla Finance Limited. 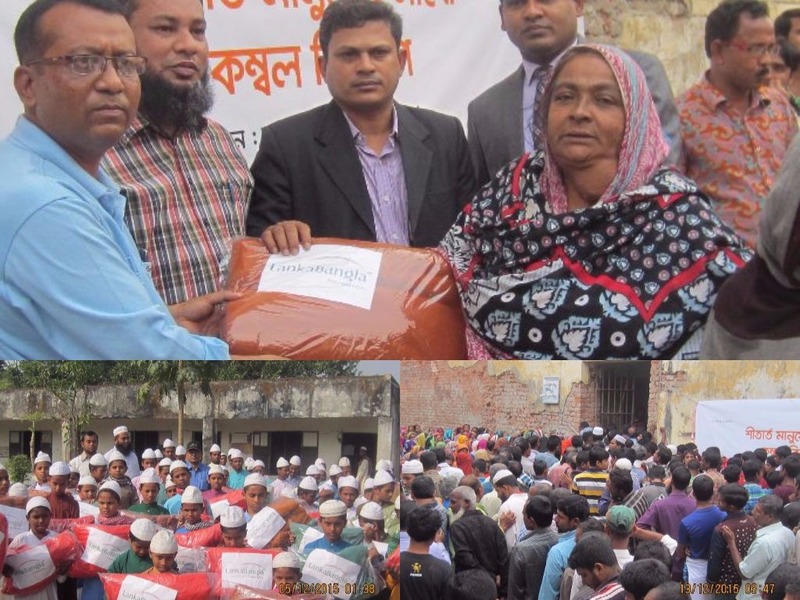 In Bangladesh, during winter ultra-poor people fight against cold every year and LankaBangla Foundation distributes blankets every year to facilitate better comfort to the poor people. This year the Foundation distributed more than 4,000 blankets among the cold victims and poor people of different districts. Beside the traditional means, we have distributed small number of blankets to different orphanages of Gazipur, Sirajganj, Dhaka Cantonment and among Hindu community of Loknath Shrine of Narayanganj. LankaBangla Foundation donated additional financial support of BDT 210,980 to renovate & modernize Library of different Colleges. Last year for the same purpose, the Foundation donated an amount of BDT 2,115,956. 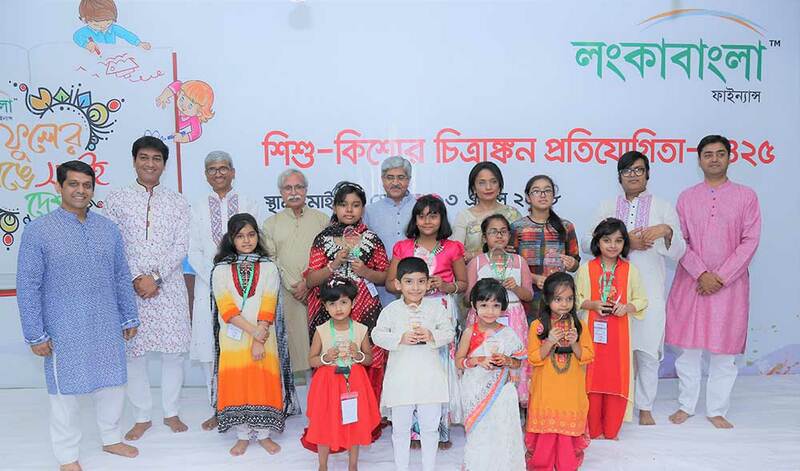 In 2015, LankaBangla Foundation arranged 3rd Art Competition for children in Chittagong. “Six-seasons of Bangladesh” was the theme of art competition. LankaBangla Finance Limited selected top 12 arts works and printed in the calendar of 2016 of LankaBangla with caption of the respective names of the children and his/her schools. This unique facilitation definitely boosts up the children who won the competition and also keep alive the intention of others to compete in future. Creativity and cultural development of children is an integral part of CSR of LankaBangla Foundation. The Foundation organizes art competition for the school children every year with focus on psychological and cultural development. Our endeavor is to help the children to become familiar with our rich cultural heritage and also to explore their hidden creativity. In 2015, LankaBangla Foundation arranged 3rd Art Competition for children in Chittagong. “Six-seasons of Bangladesh” was the theme of art competition. LankaBangla Finance Limited selected top 12 arts works and printed in the calendar of 2016 of LankaBangla with caption of the respective names of the children and his/her schools. This unique facilitation definitely boosts up the children who won the competition and also keep alive the intention of others to compete in future.